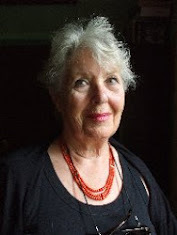 What a great set of pictures - glad to become your 601st follower! A great collection. Very well done. You would make Audubon proud! Your bird photography is fantastic. 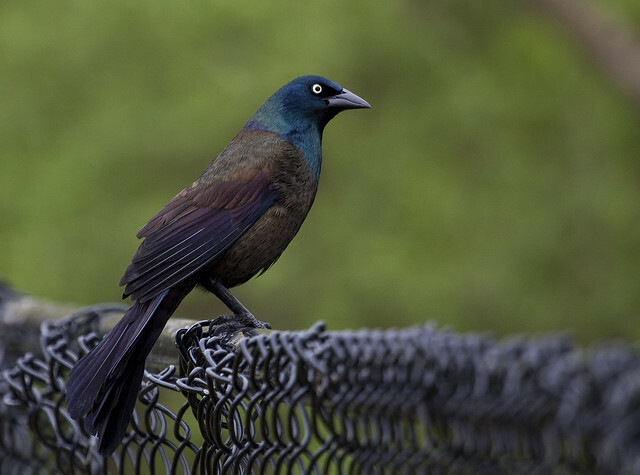 That Grackle portrait is my favorite, they are such a regal looking bird. Such great photos of birds I have here, too. 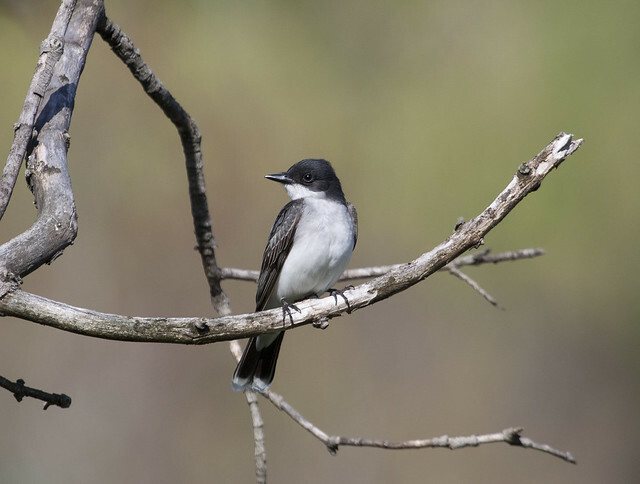 My Eastern Kingbird has taken up his annual post on top of the sun dial, the orioles are noshing on the oranges, there's a robin nesting in the arborvitae right outside my front door. beautiful photos I love the doves at the end. that little robin wasnt singing .. he was warning the neighbors .. get your feathers fluffed Hilary's here! I love bird watching.......they are awesome little creatures. we have a mourning dove nesting on the porch. my goodness H., such beauty, and there are those mourning doves! The mourning doves always seem a bit dopey to me, no wonder they get eaten. Nice to see the robins back, they do signal spring. I love your bird pictures, especially those brilliant orioles. We don't have such bright colored birds around here, well other than my male goldfinch, who are bright yellow! What beautiful photos Hilary. Your close ups are always so fantastic. Love the Orioles!! gorgeous portraits, every one. 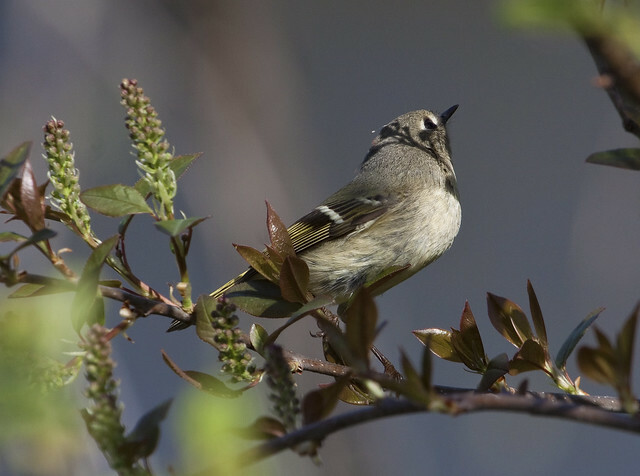 the kinglets are so tiny! great job catching that one! Beautiful. 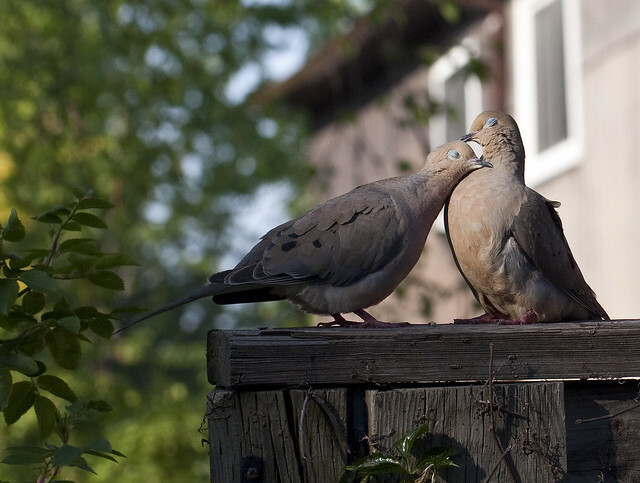 Excellent pic of the Mourning Doves. There goes my photographer's envy again. These are all wonderful. 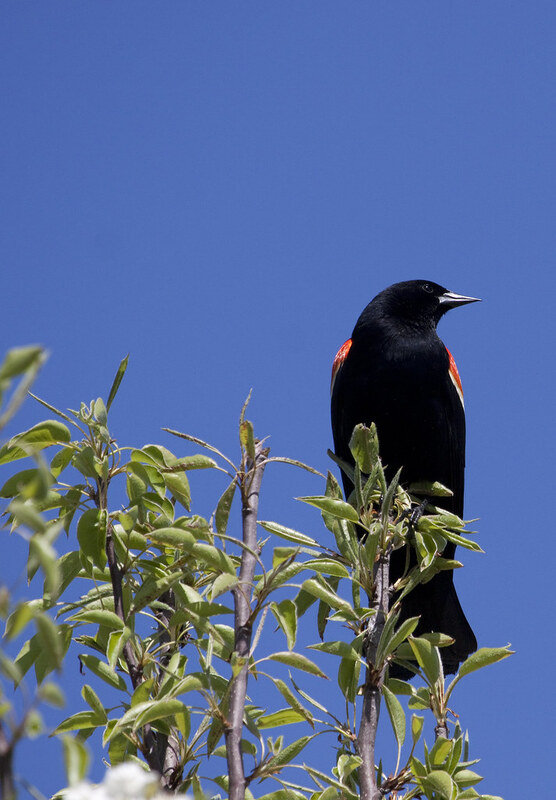 I especially liked the red-winged blackbird posing so regally against the blue sky. The last one, of the mourning doves, is a pose I've never seen before. Charming. These are just beautiful. I love watching and listening to the birds here. Your pictures are so clear and crisp it's like I'm looking at the real thing. Your shots of the birds are wonderful. I like the flight shot. That is cool. What a fabulous set of shots. That last one just melts the heart! That Baltimore Oriole is amazing. What size lens did you use? Really well done. I try and try and try to get good sharp photos of different birds like these and really struggle. Great job! Fantastic shots Hillary, I follow them everywhere. I'm learning new bird species by visiting you today! The doves, are they always in this pose? Love these, especially the last one of the doves. That's a priceless capture. Somewhat funny bird-watching story. I grew up in the city, more or less, which meant that the most abundant birds were pigeons, sparrows, and, on a rainy day, sea gulls. 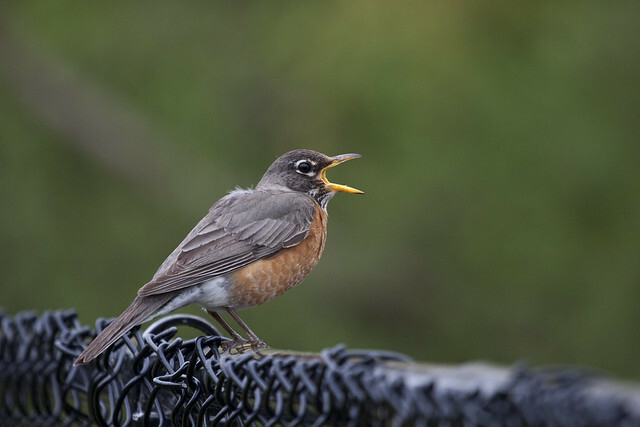 There was occasionally a robin or two, but that was about the extent of avian life in the smallish backyards of Boston's Dorchester section. I had never actually seen mourning doves in person until we moved to Watertown, outside of Boston proper, some 18 years ago. I had never even seen photos of them, for that matter. I had, however, long ago, while reading about pigeons, seen a photograph of a Passenger Pigeon, the extinct bird that was last seen in the 1930's. Well, I saw a mourning dove land in our backyard in Watertown and, for just an instant, I thought I had "discovered" a Passenger Pigeon. 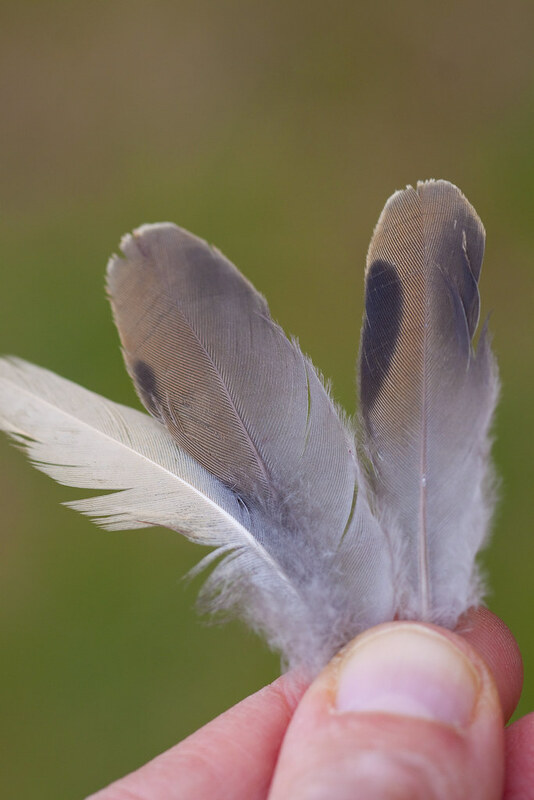 part of my brain (admittedly, undersized) took over and told me, "Jim, if there are these many of them, it's probable somebody else would have reported the findings to the Audubon Society." Thanks for the bird watching. It was most enjoyable. Oh, Hilary! I love your birds. Especially love that couple at the end, both with their pretty blue eyes closed ~ gorgeous. Awesome bird shots. for me the first bird of spring is the crow. I'd go birding with you any day. You seem to find everything! I thought I loved the third one down most, until I saw this final one - ahhhhhhhhhhhh, melts the heart, doesn't it? Sigh. yet another brilliant series of bird photos, hilary! i like bird watching with you! 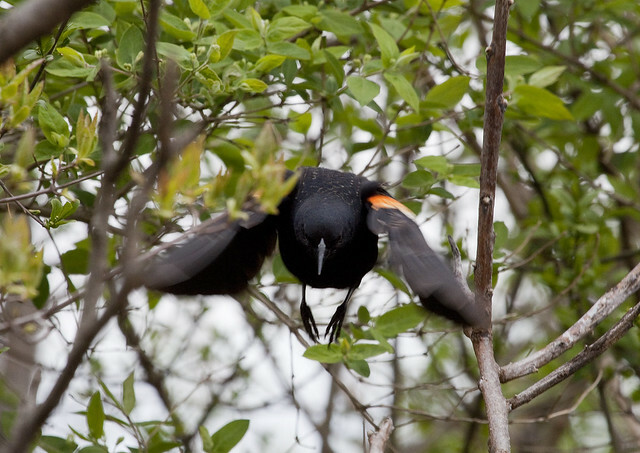 I loved this Blackbird, with red epaulettes on shoulders. We haven't these birds here. I never tire of the birdies. Always think of my grandma when I see them, as she loved the birdies, too. All are fantastic shots. The mourning doves in the last pic are my favorites. They are so sweet! Oh Hilary, that last photo is definitely a prize winner. The perfect Valentines Day shot. Love them all. I wish we had the Orioles around here. they have amazing color. Beautiful, beautiful are the birds that you have the camera, thanks Hilary, for superb photos. Birds are so much fun to watch! I love the last shot..so sweet! 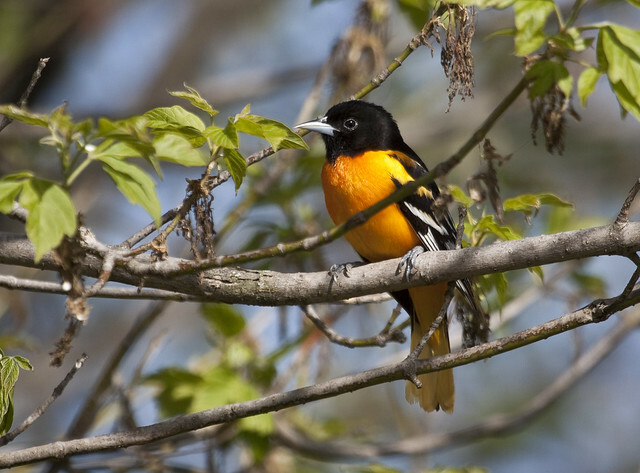 I think my fav would have to be the Baltimore Oriole...beautiful color! Amazing how you are in the right place at the right time! All great captures, but that last one steals my heart. So sweet! Each of these is a masterpiece. I think those birds felt your respect! Those sweethearts in the last image made my day! Very happy to jion you for a bit of bird watching; that grackle and the baltimore oriole are amazing. I always love your bird photos. Such pretty creatures and I love to see their detail up close. Stunning as your 52 commenters have shown! Love birds so this post was really fantastic; great shots. Bird bonanza at your place! You got such vivid portraits. Wonderful series and theme. The photo's are as usual... primo! i think that grackle is quite pretty but those doves...what a shot! just so sweet.